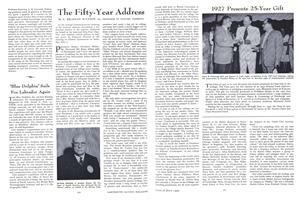 At the annual Commencement meeting of the General Alumni Association a traditional feature is the address delivered on behalf of the honored Fifty-Year Class. 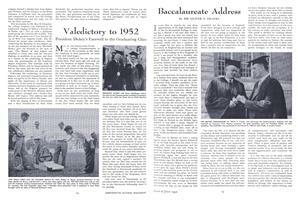 The 1902 address, which follows in full, was given by Professor Watson at the meeting in Alumni Gymnasium on Saturday, June 7. 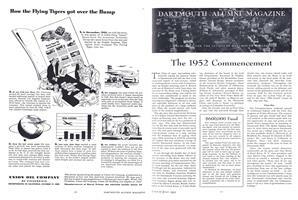 THE Class of 1952, top-ranking scholastically among the postwar classes at Dartmouth and also the first to be composed largely of non-veterans, ended its undergraduate course with Commencement on Sunday morning, June 8. OUR delayed 45th reunion has come and gone. To those who didn't make it, greetings from those who did.